Personal loans bad credit can help you get through financial glitches. But, how practical is it? Let’s explore the reasons why personal loan is a great tool for people with less than impressive credit ratings. You can use short term loans to fill the gap in your income. It helps you replenish your operating capital in times of losses, or help you meet immediate cash needs for personal purposes. When an emergency that needs a big sum of money suddenly pops out of nowhere; this loan can help you out of that glitch. Although, you might want to have a plan on how you would be able to pay off that loan when the time comes, so you wouldn’t have to cram and look for money last minute- also, so that your credit score would improve due to the early and full repayment. You might have already taken out a student loan, but there are times that they miss out on paying your tuition fees. If ever that instance comes, you’re aware that you could take out this loan to pay for your tuition – and could get access to cash immediately. There could be another reason why you could take out this loan – that’s additional funding. Your student loan might not be enough to cover your needs during your stay in college and unexpected, expensive, school projects. If you also want to have a good credit history, then this loan could help you out with that. These debts must have been knocking at your door but you must’ve failed to take notice of them. A pile of bills coming right at your fridge door might not be that inspiring or ideal. So, paying them off quickly should be on top of your To-Do list that is, if you have one. This loan could help you with paying them off as soon as possible – as well as fix your financial and credit report problems. A short term loan like this is the key to getting rid of that huge pile of debts that serves as that killjoy that blocks you from spending. The loan might even be more than the total of your debts – thus, more money to save or spend for you. You see, not all businesses have good starts wherein the funds are overflowing. Some might have a little financial problem within them- even if this is not the case, and the business which may be a coffee shop just needs a little renovation, the loan is still qualified for that role. Even if you think your business is falling slowly, don’t give up. Maybe it just needs a little nudge-nudge to improve, and a loan is more than capable of pushing your business up to the top. Every business has its place in the industry. “The show must go on” has quite significance to this situation. Closing your business may not be the best decision you could make in a situation like this. Finding flaws while you analyze your entire situation might be the key to a bright future for your business. It might not be earning a lot- or maybe none at all- right now, but the future may hold more for your business- you may need that loan for this bright future, though. Where would you get money for your daily needs or even to start a new business when you suddenly lose your job? Even those who need to fund their weddings, child delivery, sudden trip or emergency expenses can use personal loans to deal with their bad credit situation. Rather than maxing out your credit cards and paying off hefty interest rates, it is better to take recourse on a personal loan. There are many low-interest loans available for people with less stellar credit ratings from specialized lenders. Business must go on as usual whether you’re earning a lot or you’re not making sales at all. If you want positive inflows, you can apply for personal loans to pay your suppliers, employees and meet the demands of your consumers. You can keep the flexibility of your business operations using short-term loans. Personal loans bad credit is a useful financial tool to help you meet every bad credit situation. But you need to use it wisely. 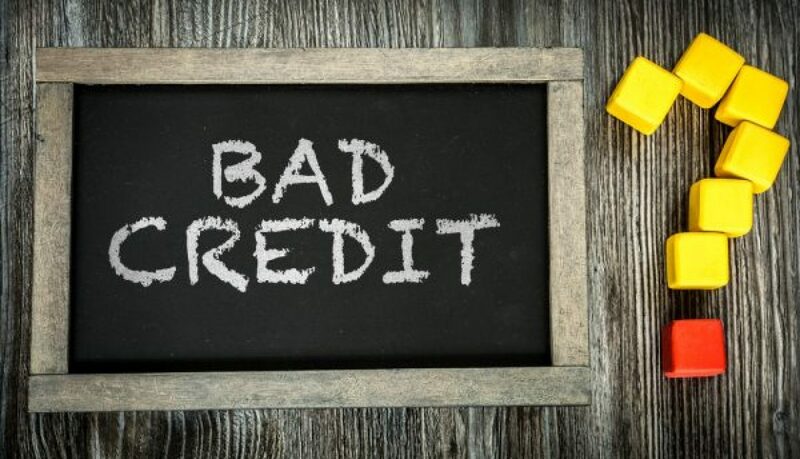 Learn more about dealing with bad credit by making an enquiry today!